Summer is here and so is wedding season! I have a weakness for weddings and have been planning my own from the time I was a child before there any possibility of one being on the horizon. 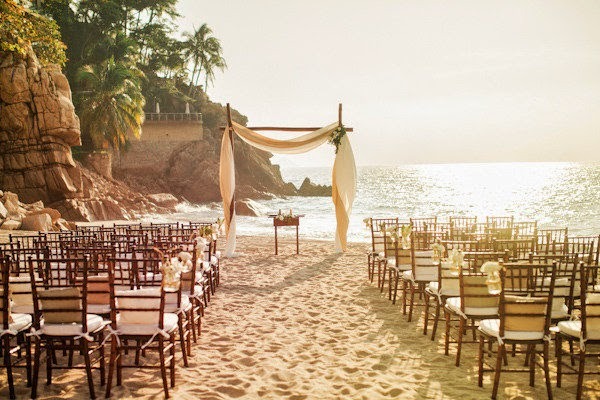 I was always torn between a garden wedding and a beach wedding so I planned both. 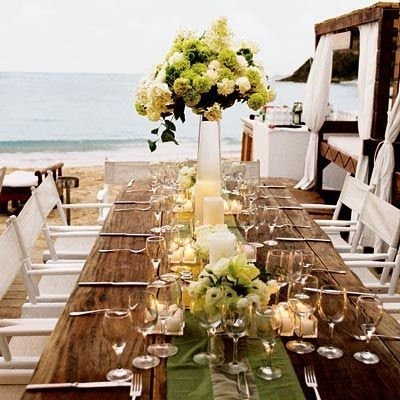 Below are some stunning beach weddings which serve as inspiration for me. I love the casual element of being on a beach with simple accessories and decor to make it special. The dining table is a perfect example - the rustic table paired with contemporary white chairs and a beautiful runner filled with candles and blooms is both stunning and simple!